Karters stream in by the hundreds for the start of the 2019 season at Daytona International Speedway. For many it’s a chance to escape the freezing temperatures of their hometown for the warm Florida sunshine. That may sound like a line from a tourist brochure, but families from across the country flock to the Sunshine State to compete in World Karting Association’s Daytona KartWeek in hopes of bringing home a 1st place trophy. This event which historically runs in the days separating Christmas and New Year’s Day, has become an annual adventure for most of these racing families. While many of these go-kart drivers aren’t even of legal age to drive on the streets, they come here to experience the sights and sounds of the mecca of racing. Many stars got their start by competing in Daytona KartWeek events including Marco Andretti, Tony Stewart, Brian Vickers and Bobby Labonte. To start off the race weekend Race 3 brought out an impressive amount of karters to the grid. The CIK LO206 Sprint class had 28 drivers ready to battle for the checkered flag. As the drivers took to the front straight away on the 1st lap there seemed to be a couple of packs that had formed from the drop of the green flag. Leading the front pack and taking advantage of the draft was Jeff Hoff and James Vanderzee followed by Todd Horton and Justin Vanderzee. Also holding his own on the outside of the pack was Richard Hoff. By the 3rd lap #290 Richard Hoff and #104 Matt Turner had taken the lead coming into the horseshoe on the road race course. Followed by Jeff Hoff, Todd Horton, and both James and Justin Vanderzee. Unfortunately, Justin Vanderzee found himself in the grass but was able to recover and join the rest of the pack. Regrettably around the 17-minute mark an accident occurred, and the red flag was brought out. Since the race was more than halfway done, the race was called, and the drivers were brought in. The final outcome of the race was Richard Hoff bringing home the 1st place finish, while James and Justin Vanderzee took home 2nd and 3rd. Sunday’s CIK LO206 class was just as exciting but was time reduced to 20 minutes due to the heavy fog that plagued the track on Sunday morning. With less time to race the pressure was on for many of the drivers to be part of the front pack. Coming into the road race portion of the track the lead pack consisted of Matt Turner, Justin and James Vanderzee, Jeff Hoff and Jerry Turner. Todd Horton and Quincy Smith brought up the rear in this group of racers. For what seemed like just a few laps these drivers battled back and forth with various lead changes on every lap. But in the end #300 Jeff Hoff took the checkered flag, while Justin Vanderzee and Matt Turner took 2nd and 3rd. While Race 4 did not bring out a huge number of racers among the 4 different classes, what it did bring to the grid was tons of racing experience and too many 1st place trophies to count. Among the drivers in these classes were the Fulks brothers Randy and Rick. The Harper family, Robby and Robby Jr. and the Brown family, Jamey and John. Margay owner, Keith Freber who has attended 37 Daytona races as a driver since 1982. Also, veteran racers Brad Zoeller, Allen Cox and Jim Farr Jr. brought their A game to the track hoping to secure a 1st place finish. Matt Michel ended up driving for Robby Sr in the #52 kart. Right out of the gate in the B stock class Rick Fulks took a 4 sec lead and never looked back. He held that pace for the entire 25 minutes and ended up taking the 1st place finish followed by Allen Cox and Jim Farr Jr. The Yamaha Senior class had a very intense race between veteran drivers Randy Fulks and Keith Freber, and Mid-West KART member Rusty Benson. Coming off the 1st lap Randy Fulks had somewhat of a lead on Freber and Benson, but that was short lived as they caught up to Randy after the second lap. While Randy held onto his 1st position, Freber and Benson battled back and forth throughout the entire race for 2nd position. In the end Randy Fulks took home another 1st finish while Keith Freber took 2nd and Rusty Benson brought home a 3rd place finish. The TaG Heavy class in Race 5 brought a whooping 26 drivers to Daytona to fight for the right of 1st place. With this many drivers there was bound to be some good racing. Coming off the 1st lap Jason Lorang had a good lead on drivers Matt Cherry and Brad Adams. In the second group which was close behind, Scoot Cherry, Jeff Bierman, Steven Hefley and Nathan Wilkins were fighting to gain position over one another. About halfway through the race, positions had changed but Jason Lorang was still holding strong on his 1st place position. This time Steven Helfley had moved up to 2nd place while Matt and Scott Cherry were vying for that 3rd place position. This battle continued until the very end where Jason Lorang brought home the checkered flag and Steven Helfley and Nathan Wilkins took 2nd and 3rd. Sunday’s TaG Heavy race also brought a ton of good ole fashion racing with 29 karts on the grid. Coming around the 1st lap, John Brown was in the lead followed by Tiffany Fisher, Brad Adams and Jeff Bierman. Leading the way in the 2nd pack was Jason Lorang Dennis Whittaker, Brandon Rodriguez and Steven Hefley. By lap 3 positions had changed as Tiffany Fisher took the lead with Jeff Bierman and Jamey Brown hot on her tail. Steven Hefley was also closing in with 4th place. Coming into the halfway point of the race Jason Lorang had made a huge leap to take the 1st place position while Tiffany Fisher fell back to 2nd place. John and Jamey Brown held strong in 3rd and 4th. As the checkered flag came out Jamey Brown had taken the lead from Jason Lorang who was only 0.016 of sec behind him while fellow teammate John Brown came in a very close 3rd place. The Unlimited class not only brought out 18 drivers to the grid, but they also brought the speed. Veteran racer Johnny West took an early lead and kept it with an impressive 1 minute 54 second lap time. Following him on the 1st lap was #73 James Skyers, #42 Michael Tracy, #23 Jim White and #420 Chuck Gilbert. By lap 4 both Brian Wilhelm and Mitch White who were in 7th and 8th place had jumped into the 2nd and 3rd spots. These positions were held until the checkered flag was thrown with Johnny West leading Brian Wilhelm by 32 seconds. Sunday’s Unlimited class brought out even more racers for a total of 21. Once again Johnny West brought the speed with an even faster lap time than Saturday’s race. Again, he took an early lead followed by Rick Fulks, Brian Wilhelm, Patrick Olsen, Larry Dobbs, and James Skyers. Unfortunately, Patrick Olsen and Rick Fulks were only able to get 1 lap in. By the halfway mark it seemed as if we were watching the same race as Saturday with Johnny West in 1st place. This time Brian Wilhelm was hot on his trail with only 1 second separating the 2 racers. In the end that second was just enough for Johnny West to secure another 1st place finish. Brian Wilhelm and Mitch White once again snagged the 2nd and 3rd place finishes. The IAME Sprint class was full of excited and well as controversy as 26 racers lined up to take the green flag. As the racers came around to take the green flag on the straight away Jamey Brown lead the lead pack followed by John brown and Scott Cherry. Not too far behind was the 2nd group led by 17 year old female racer Paige Evans. Hot on her tail was Tyson Knight, Matt Cherry and Jason Lorang. Coming into lap 4 which marked the halfway point of the race, Jamey Brown still held the lead over teammate John Brown and Scott Cherry. The 2nd group was gaining ground still led by Paige Evans with Jason Lorang now behind her, followed by Tyson Knight and Nathan Wilkins. As the checkered flag was thrown racers John Brown and Scott Cherry made a play for 1st place and took the win with Jamey Brown taking 3rd. Unfortunately following a post-race DQ of the top 3 places, the win went to Paige Evans while Jason Lorang and Tyson Knight came in 2nd and 3rd. With Saturday’s controversy looming over everyone’s head the IAME class took to the grid on Sunday hoping for the same excitement but with a lot less drama. As the drivers exited turn 4 on the 1st lap the lead pack was led by Jason Lorang and Brian Fisher. Brian Adams and Cole Peschang were close behind in the 3rd and 4th positions. As the 2nd group came around it was led by none other than 17-year-old Paige Evans with teammates Jamey and John Brown following suite. As the racers started lap 3 positions had changed once again. Paige Evans now led the pack with the Jamey Brown next in line. With a little distance between them Scott Cherry was leading the charge for the 2nd group followed by Cole Peschang and John Brown. Coming into lap 5 Jamey Brown had taken over the lead position with John Brown and Jason Lorang hanging onto 2nd and 3rd. As the checkered flag was thrown the winner on Sunday’s IAME race was John Brown with Jamey Brown 2nd, Cole Peschang 3rd, Scott Cherry 4th and Paige Evans rounding out the top 5. Congratulations to all the winners at Daytona KartWeek!! The next stop on the Vega Road Race series is Roebling Road, which is where the 2018 Road Race series banquet will be held. Hope to see you there!! CONCORD, NC - Vega Tires and TS Racing is pleased to extend contingencies to the Road Racers at Daytona Kartweek this year, offering retail discounts for the winners using Vega Tires in all 46 WKA National Points classes. To read the details of the contingency program, click the button below. 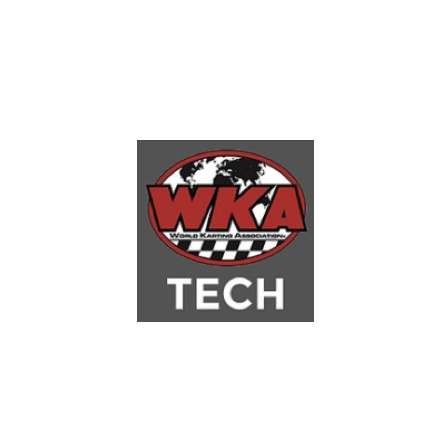 WKA along with KART hosted their final race of the season at the National Corvette Motorsports Park in Bowling Green, Kentucky. This would be the 2nd time that WKA and KART had ever raced at this particular track and the 3rd time that these 2 organizations rallied together to co-host an event. With the temperature hitting below freezing and rain on Thursday and Friday, the Grands Nationals were at a standstill. Many weren’t even sure if they would make it on the track for practice day, but by midafternoon things started to look up. The track had finally dried up enough and the powers at be gave the green light for practice to begin. As chilling wind and temperatures ripped thru the pits many brave karters layered up and hit the track to make sure that they were ready for the next 2 days of racing. Many were competing for the infamous Grand National Eagle trophy with only a few points separating 1st, 2nd, 3rd place. Who would take home the Eagle? This year the CIK LO206 class has not disappointed when it came to good ole fashion racing. Two very familiar karters have dominated this class the last 2 races. Chase Pflughaupt and Lindsey Read have become formidable opponents in this particular class, battling it out in every turn of the track. On Saturday both Chase and Lindsey started up front and broke away from the pack with only 1 other karter on their tails. They continued swapped positions numerous times throughout the race, Lindsey was leading when they hit the last turn and headed down the straightaway. With the white flag waving, Chase knew he was going to have to wait to make his move until the last corner. Going into turn 14 Chase grabbed the inside line, but Lindsey had a plan of her own and decided to cross under Chase, which started a drag race to the finish. Lindsey Read ended up taking the checkered flag with only .022 seconds between her and Chase, while Stephen Gibson brought home 3rd place. Once again, Sunday’s CIK LO206 class had spectators on the edge of their seat wondering who was going to take home the 1st place trophy. Chase and Lindsey once more battled back and forth the entire race with three other karters trying to catch them. With three laps to go, two of those karts drafted off each other to pass Chase and Lindsey. Unfortunately going into turn 14 they literally pushed each other off the track, eliminating them from the race. The now third place kart was close behind until the finish, but Chase was able to grab his 1st Grand National win while Lindsey Read took 2nd and Craig McNeese secured 3rd place. According to Chase it was a pretty solid way to the end their second year in karting, going 1-1-2-1 in all of the WKA/KART joint races in which they ran the CIK LO206 class. Race 3 on Saturday brought in a bunch of heavy hitters running a couple different classes. The B Stock class was a family affair with the Harper clan making up the majority of the entries. According to Robby Harper this was one of the only times that all his boys were racing together with him. Unfortunately, those numbers could not help secure a 1st place finish. As soon as the green flag dropped for the B Stock class Rick Fulks took the lead and never looked back. Rick stayed in the lead the entire race with a 60 second lead over 2nd place. Jim Farr Jr. brought home the 2nd place finish and Robby Harper rounded out the top 3. The Yamaha Senior class also did not disappoint with 12 karters competing for the National trophy. Once the race started the lead pack consisted of Randy Fulks, Scott Grenier, Brian Ellis, and Brad Zoeller. Regrettably they were unable to handle the power of RRR racing as Randy Fulks pulled away from the group, which led him to a 1st place finish over Scott Grenier. LAD Specialties was well represented with Scott Grenier’s 2nd place finish as well as Brian Ellis bringing in 3rd. Once again, the Fulks name did not disappoint at the Grand Nationals as Randy Fulks also brought home a 1st place finish in Sunday’s Yamaha Senior race with Scott Grenier taking 2nd and Rex Pierce 3rd. The Stock Honda class in race 4 also brought out an impressive 13 karters to the grid. Starting third, Steven Rougeou had taken the lead by the 1st corner unfortunately somewhere on the track an incident had occurred, and the red flag came out. The karters were once again lined up for a restart once the track had been cleared. This time Steven wasn’t by himself going into the first turn, Alex Watzke and Mark Nagy were right on his tail. Mark Nagy took the lead and set the pace of the race. Alex seemed to have an issue and fell back halfway through the race. Steven and Mark continued to race neck and neck for the entire race with Mark taking the checkered flag over Steven by 0.413 seconds. However, on Sunday Steven was able to secure a 1st place finish taking home a Grand National Eagle to add to his collection. Steven’s DR M99 was consistent through the entire race. His SRS engine was strong utilizing the Mezzo heat exchanger. “I’m glad to have been consistently fast this year and running up front with the fastest guys in the nation. It solidified another national championship in stock Honda.” Chad Donner took home 2nd place, while Alex Watzke came in 3rd. Yamaha Sportsman Medium was also another class that brought out 11 racers to Kentucky to vie for the opportunity to take home an Eagle. Once the green flag was waved Randy Fulks once again took the lead and never let off the gas. Coming off the 1st lap Rusty Benson was in back in second place followed by Jeramie Weeden, Lamar Hillard, Gianni Scavuzzo, Justin Greene and Amanda Holewski. As the racers hit the halfway mark Rusty Benson unfortunately fell out of the race and DNW while Lamar Hillard took over 2nd. For the rest of the race Lamar, Jeramie and Amanda battled which ultimately led to Lamar Hillard hanging on to 2nd place while Jeramie Weeden took 3rd and Amanda Holewski taking 4th. Congratulations to all the winners at the Grand Nationals and thank you for being a part of the WKA/KART race at NCM!!! Looking forward to seeing everyone in Daytona for the start of the 2019 Road Race season. 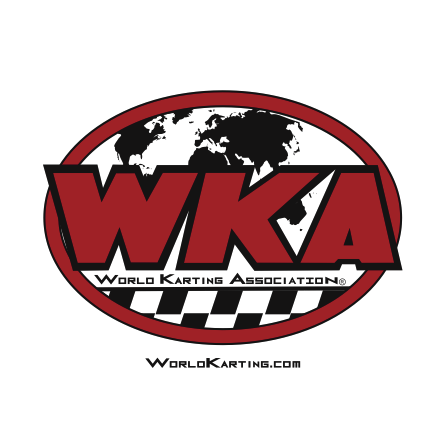 November 23, 2018 – Looking to combine multiple World Karting Association (WKA) events at one venue, karting will make its return to the Charlotte Motor Speedway in 2019 over the June 21-23 weekend. With the Vega Road Racing Series utilizing part of the Roval and Speedway made famous by NASCAR, the Bridgestone Manufacturers Cup will also use a portion of the Roval in a sprint race style setting while the Maxxis Speedway Dirt Series will compete at The Dirt Track at Charlotte Motor Speedway. "Everyone at WKA is thrilled to host an event back on our home soil, and even more excited to bring all three of our National Racing Series together the same weekend,” explains Kevin Williams. “The folks at Charlotte Motor Speedway have been amazing partners with WKA to make this historic event happen." With the first ever Speedway Dirt Race at the Dirt Track at CMS, careful consideration was needed for track design and track prep. Maxxis Tires and the WKA staff have brought on veteran dirt track manager Mackey Flood to prepare an awesome track. With the added Charlotte event, the 2019 schedule will experience some changes as noted below. Huge thank you to Pitt Race Complex and Concept Haulers Motor Speedway for making room on their calendars for 2019, but the addition of the Charlotte venue will result in the Manufacturers Cup program having to cancel these event venues with hopes to return to these amazing facilities in the very near future. Other exciting news from WKA is the confirmation that the Manufacturers Cup will return to Road America on the May 17-19 weekend. Huge credit is given to Badger Kart Club in helping secure the date and additionally, they have gracefully agreed to change their race date to the August 23-25 weekend. Other changes to the Bridgestone Manufacturers Cup include a change to Motul 2T Kart Oil for all 2-cycle categories as it becomes the spec oil for the series. Additionally, at the most recent Trustee Meeting, some changes were made to the 2019 Regulations to make participation more member-friendly, as recommended by the Manufacturers Cup Competition Committee. After sampling many of the members to discuss the program's two finals per event format for each class, the drops allowed for 2019 Manufacturers Cup have changed from two entire event drops to four daily drops. Also, to assist Mini drivers with their transition to the Junior ranks, WKA has added the KA100 Junior category to allow drivers to gain more experience before they move to the popular IAME X30 Junior class. To further assist, WKA will allow drivers with the attained age of 11-years old to advance to KA100 Junior for 2019. Also, after polling many of the road race members, the decision was made to celebrate the 2018 Vega Road Race Series Champions Banquet at Roebling Road in March 2019, as has been in previous years. "I've said from the beginning of my short time as President that we wanted to make WKA more member-focused,” adds Williams. “These program enhancements and schedules for our 2019 national campaigns bring the excitement and experience meter way up for our members. Special thank you to our committees, office team, trustees, and especially the support of our partners for making all this happen. 2019 promises to be one of our most exciting years yet." CONCORD, NC - After years of support of the WKA National Road Race program, Vega Tires has committed to continue its support to the WKA Road Racers by extending its backing as Title Sponsor for another 3-years. As a part of their dedication to the Road Race program, TS Racing and Vega Tires will be available at the National Road Race events to offer support to the participants, from technical assistance to product knowledge. Next stop for the Vega Tires National Road Race Series is KartWeek at Daytona International Speedway. 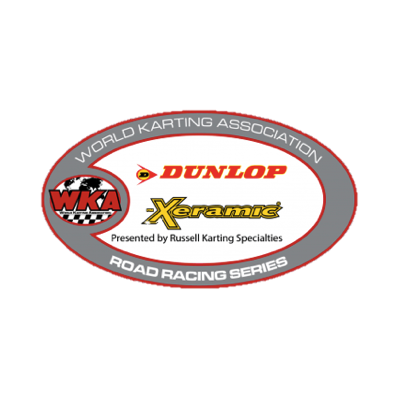 Entry Forms and information can be found at https://www.worldkarting.com/road-racing-series. CONCORD, NC - With rain in the forecast many were wondering if they would even get to race at Virginia International Raceway, but that didn’t seem to stop the dedicated racers from showing up and bringing their (A) game. As we entered into the 5th race of the season at VIR many had never raced at this track and were excited to see what it had to offer. Since this is only the 2nd time WKA has ran at this track in quite some time, here is a little background. Virginia International Raceway originally opened August 3, 1957 but closed in 1974 and then reopened in March of 2000. VIR offers six track configurations, of which two can be run simultaneously. The "Full Course" is 3.27 miles in length while the "Patriot Course" stretches for 1.1 miles entirely inside the Full Course. The "North Course" is 2.25 miles long and the "South Course" covers a distance of 1.65 miles. Both consist of a portion of the "Full Course" and short connecting sections that connect to portions of the "Patriot Course" to produce the two courses that can run simultaneously. After a full day of practice and fine tuning many racers felt prepared for the next 2 days of racing. Some came with brand new karts never to have touched a race track and others came with seasoned karts ready to take home 1st place. Starting out in the 1st race of the day was the CIK LO206 Sr class which brought 14 racers to the grid. One particular racer who made a special appearance in this race was Woodbridge Kart Club’s very own president Rodney Smith. He, along with the father/son duo of Clark Gaynor Sr and Jr, Greg Heberle, and Scott Clark made up the lead pack for this class. A few laps later JC Sanders had made his way up to the pack while Gaynor Sr fell back to the 2nd pack along with Mark McNaught, Todd Horton and Jon Tedder. These 2 groups continued to battel for position through out the entire race. In the end Clark Gaynor Sr. took home the 1st place finish on Saturday but came in 5th on Sunday’s race. Jon Tedder came in a close 2nd along with Scott Clark, Clark Gaynor Jr. and Greg Heberle rounding out the top 5. The Yamaha Sportsman Heavy class brought some tough competition with the likes of Randy Fulks, Matt Michel, Chad Dokken, and Bill Holder. With Matt Michel leading in points, he was going to do whatever it took to take home the 1st place finish to make sure he stayed on top. Starting out Fulks, Dokken, Clark and Michel drove away from the rest of the class. About halfway through the race Clark fell out and came in with an 8th place finish. That left Fulks, Dokken and Michel heading up the lead pack. Throughout the race the lead changed several times between Randy Fulks and Chad Dokken but in the end the Fulks pulled out the win with a 1 sec lead over Dokken with Michel bringing home a 3rd place finish. IAME Sprint class also brought a large number of racers to VIR. There were 14 racers that would battle for the 1st place finish. Clark Gaynor Jr would be fighting on his own in this race as Sr did not race. Gaynor Jr would battle the lead pack which consisted of Robert Wimmer, Greg Heberle, Walter Troup, Sebastian Bushney, Chase Speacht, and Indy Kassy. By the halfway mark the lead pack had dwindled down to only 5 with Gaynor Jr. still leading the way. He would go on to win the race by one tenth of a second over Robert Wimmer. Heberle, Bushney, and Speacht rounded out the top 5. The WKC Vintage Open (LO) class also brought an impressive 12 racers to the grid. As soon as the green flag dropped Louis Mageria took off like The Flash and ran away with the lead. He continued to dominate all the way to a 1st place finish with a 12 sec lead over 2nd place Rodney Garrison. Phillip Copeland, Arthur McKenny and Terence Armstrong rounded out the 5 top for the LO class. The Yamaha Sportsman Medium class also brought out a whopping 15 racers ready to take the checkered flag. Coming into the 5th race of the Vega Road Race Series racer Justin Greene was leading the class points with a 200-point lead over 2nd place Donald Dump. The lead pack was soon established with the veteran racers of Randy Fulks, Chad Dokken, Matt Michel and Zack Clark on the lap one. Throughout the race there were a few lead changes between Fulks and Dokken with Clark and Michel battling in the 3rd and 4th positions. With only a few laps to go the 3 main contenders continued to be Fulks, Dokken and Michel. Then on the last lap Michel and Dokken teamed up to pass Fulks which helped Michel go on to take the Checkered flag and Fulks and Dokken coming in 2nd and 3rd. Matt would walk away with three 1st place finishes, one 2nd place finishes and one 3rd place finish for the weekend. This win for the Matt Michel was just the icing on the cake for the Pete Michel racing team as it was the patriarch’s 70th birthday on Saturday. The name Pete Michel has been synonymous with the karting industry for many decades. Pete himself started racing in 1958 and then started building motors for other racers in 1967. He has since pass down his love of racing to his children Matt and Ashley. They too have added many wins to the racing team and tradition will continue when Pete himself starts racing again in the Vintage Sprint class in the near future. The last race of the day featured Stock Honda and TaG Heavy which brought in an impressive 30 go karts to the International Raceway. The lead pack consisting of Torres, Rothenhoefer, Waddell, Harding and Bushney made their presence know as they pulled away from the rest of the Stock Honda class. The top four continued to battle through out the race leading Pascal Torres to a 1st place finish. He finished the weekend with two 1st place wins both in Stock Honda. Rothenhoefer, Waddell, Harding and Eller rounded out the top 5 positions. TaG Heavy also proved to be a class of warriors with 16 racers ready to do battle. As the racers took off at the drop of the green flag, Brad Adams, Indy Kassy, and Robert Wimmer quickly made their presence known by pulling out to take the lead. John Bryant and Ashley Michel quickly followed suit. Adams continued to hold onto the lead all the way to a 1st place finish. He would also take home the win in TaG Heavy on Sunday. Wimmer, Bryant, Michel, and Sircy would finish out the top five for this class. On behalf of the World Karting Association, we would like to thank all who participated in the 5th race of the Vega Road Race Series, the drivers, families, sponsors, crew members, officials, and so many other people that make this series so special! Cadet LO206: Mac Harrison CIK LO206 Senior: Clark Gaynor Sr.
Clone Sprint 390: James Cartledge IAME Sprint: Clark Gaynor Jr.
WKC KA100 Sr (LO): David Dalton Jr.
CONCORD, NC - After an exciting weekend of Road Racing in Atlanta, WKA’s Vega Tires Road Race program keeps the momentum going by setting its sights on the famed Summit Point Motorsports Park, for stop four of the National Program, June 1st-3rd, 2018, organized in association with the Woodbridge Kart Club. In past years, the stop at Summit has produced some of the best racing action, and fun weekends that the track and Woodbridge has been known for. 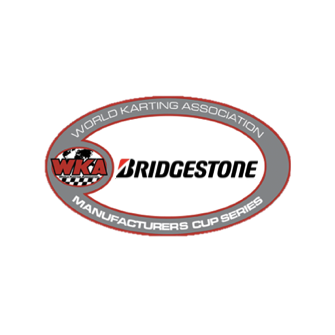 Entry forms and information are available now and can be found on both the WKA website, worldkarting.com, and Wood Bridge Kart Club’s website @ www.Woodbridgekartclub.com.